Delivered from concept to publication in nine days, “pop-up” newspaper The New European has defied its early critics and a news industry in decline to mark one year in print. 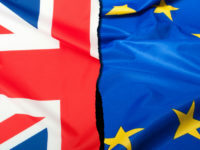 The weekly title’s first edition came out just two weeks after Britain voted for Brexit in the EU Referendum of June last year and was billed as the paper “for the 48 per cent” of Remain voters. Editor Matt Kelly spoke to Press Gazette this week, while still thinking of ideas for a striking front page design – something that has become a hallmark of the paper – for its 52nd issue, out today (Friday). 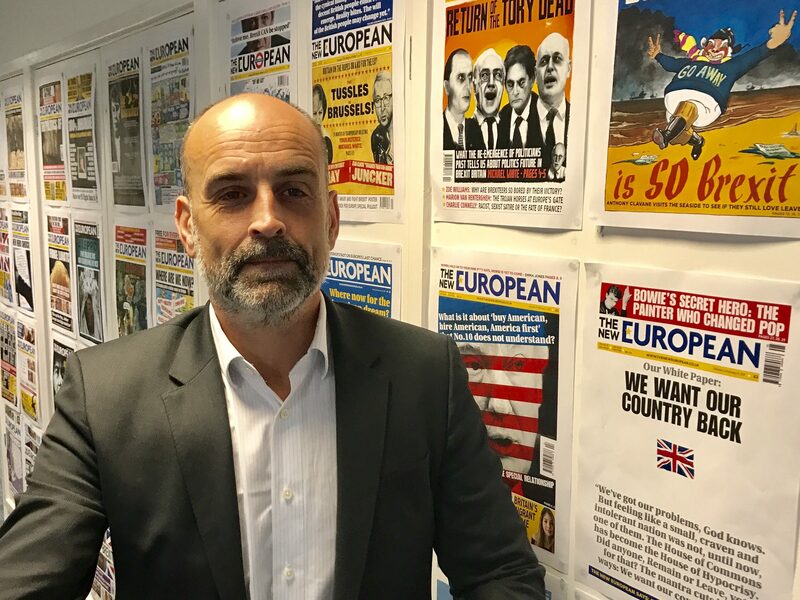 The New European relies on newsstand sales (at a cover price of £2) and subscriptions to generate the bulk of its income, with print advertising a growing revenue stream. As such, getting the splash right can mean the difference between a week in the black and a week in the red, said Kelly, who revealed The New European’s circulation is “volatile” – going up or down between ten to 15 per cent each week, but maintaining a base sale of about 20,000 copies. “The dependencies are two-fold,” he said. “One is, whether there’s any real buzz in the UK political scene that week and the other is whether we have nailed a good cover. Hitting on a front page that will shift papers is something Kelly said he learned during his years as night editor on the Daily Mirror – where he spent a decade in various senior roles – working under “masters of the art” Piers Morgan and Richard Wallace. “Piers would put the paper together at morning conference, but from about lunchtime onward all he was thinking about was what’s page one going to be. He knew he had people who could look after the rest of it, but page one was the main consideration,” he said. He added: “I think the secret with a good cover is there has got to be something visceral about it. You’ve really got to feel it. 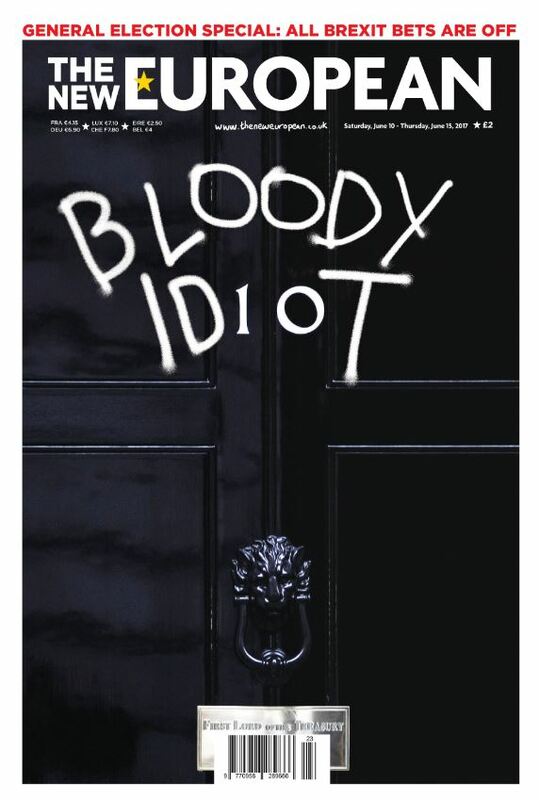 “I think the best one that sums up that was the “Bloody Idiot” front page that we did on the morning of the election results, using the number 10 on Downing Street for the “i” and the “o”. But Kelly is as much a critic of the paper’s splash designs as any of his detractors on social media, telling Press Gazette: “I think although we have done some great front pages, we have done some absolute stinkers as well – where it’s just been a bit lame. 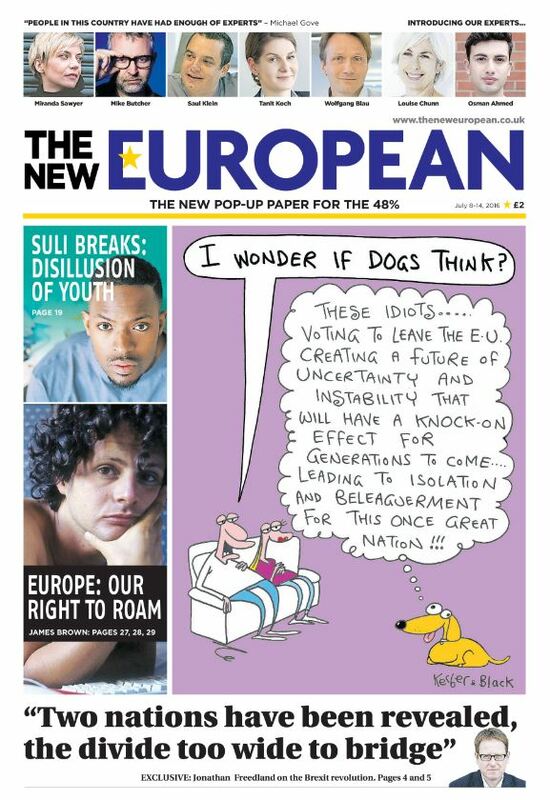 The New European is produced by regional publisher Archant, where Kelly is also chief content officer. Like its rivals in regional news, Archant has cut jobs in recent years as it attempts to shore up its operation against rising print costs, declining sales and the continued loss of advertising revenue. Some critics thought because of this The New European, which was delivered to market faster than any other British newspaper in history, would be fumbled in Archant’s hands. Said Kelly: “All these old, cynical, bitter losers, were saying online that it’s going to be full of wire copy and that they [Archant] are hopeless, what could they possibly do that would be interesting? “I felt a kind of real responsibility not really to anybody apart from my colleagues on the senior executive team who I had blustered along and said this can be achieved no problem at all. He added: “The final touch really was getting the cartoon on page one. That really set the tone that it was going to be a slightly different approach. Two months before The New European launched, Trinity Mirror’s brand new daily national newspaper The New Day shut down after just nine weeks and 50 issues. And in the same month as it produced its first edition, CN Group daily 24: The North’s National also tanked after a month in print. So why has The New European succeeded where other titles have failed? “I think there are two main reasons,” Kelly said. “One is that it was launched in an incredibly short space of time – we didn’t focus group or market research stuff, we took the essence of an idea that had gripped me and then gripped (Archant chief executive) Jeff Henry and the rest of the team and we just thought let’s give it a go – so we didn’t have time to talk ourselves out of a good idea. “The second point is that it was absolutely clear who our audience was. We were able to say it’s the paper for the 48 per cent [of Remain voters] and everybody knew whether it was for them or not. All of the other papers, for better or worse, couldn’t articulate as clearly as we could exactly who their target audience was. With Brexit set to go ahead, albeit in terms and conditions yet to be confirmed, is the paper’s “Remainer” identity at risk of becoming stale and irrelevant? Said Kelly: “I think it’s essential that our core proposition is that we are a pro European Union newspaper and, until it’s decided, we are the only newspaper that argues that there is no such thing as a good Brexit, hard or soft, and we are unique in the market place in that regard. “The paper has got a lot more broad in its interests over the course of the year. 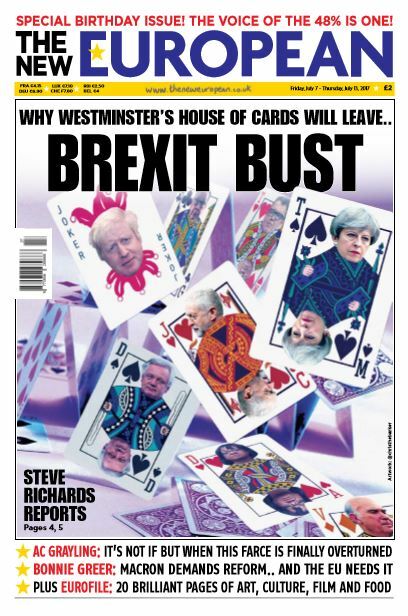 We have had loads of different covers on different topics, but I think Brexit is part of a jigsaw puzzle that is global in its scope. But, he added: “It’s very important to me that people understand we aren’t just about politics and Brexit and heavy issues, we have got this fabulous second half to the paper – Europhile – which is all about quite eclectic and sometimes random but very entertaining and intelligently written articles about arts and culture and film and food. The New European has a subscriber base of about 5,500, according to Kelly, who said that number is rising by between 100 and 150 each week. He added that the renewal rate on subscriptions, which refresh every quarter, is 99 per cent. All this he puts down to a good subscription offer, 13 issues for £1 each (half the newsstand price), and also a “sense of community” that is tied to the paper’s politics and its print-first focus. “We say that the £2 you pay is not for the newspaper, it’s to be part of the community and you get a free newspaper with it,” he said. “I want people to be able to walk around carrying the newspaper, because if you think about it there’s very few ways of demonstrating the fact that you are who you are. You can wear a badge, go on a march or you can carry a copy of The New European under your arm. “I think that’s something that our readers feel very strongly about, that sense of community. And I have always felt that reading a newspaper is a shared experience, even though you do it in isolation, you are very much aware that thousands of other people are also doing the same thing. Maybe not at that time, but they are having that same experience. Kelly said the paper about breaks even finacially, but a move from Berliner to tabloid format this year, bringing printing in-house at Archant where before it was at the Guardian, will take it “into the land of the living in terms of profitability”. Key to The New European’s relative financial stability is its low fixed-cost business model, relying on existing Archant staff to work on it alongside their main roles. Its only full-time staff member is deputy editor Jasper Copping, who is technically employed by Archant as a special projects editor. Designer Jamie Bolton also works on other titles in the group and Kelly himself juggles editing the title with his primary role as chief content officer. The majority of the content in The New European is commissioned work, for which it pays at market rates. Kelly said the team had actually gotten smaller over the year, starting with seven or eight people when it was “a bit of an unknown entity” but is more streamline “now we know where we are going”. He said the editorial process had also changed. “It used to be that we were literally making the paper up as we went along each week in the early days. We weren’t quite sure what it was meant to be,” he said. Despite work on the weekly title eating into his weekends, Kelly says he is not yet ready to appoint a full-time editor for the title – although Alastair Campbell was named its editor-at-large this year. “The minute you start appointing a full-time editor and a production team and a designer, it becomes a different beast,” he said in reference to the costs of producing the title. One thing that still drives The New European is its opposition to the mainstream media, which largely campaigned in favour of Brexit and backed Theresa May in June’s snap general election (Kelly opted for a tactical voting guide to “stop the Tories”). “We are entirely a reaction to [the mainstream media],” acknowledges Kelly, whose paper is arguably an early alternative news adopter. “We have been quite clear in our antipathy to the way the Daily Mail behaves, in the way that it has chronically brainwashed people on the subject of immigration for instance and has had such an overbearing influence on other media, in broadcast and television and on government as well. Despite his opposition to the Daily Mail, Kelly said he considers Dacre to be the “one of the great editors of his generation”. 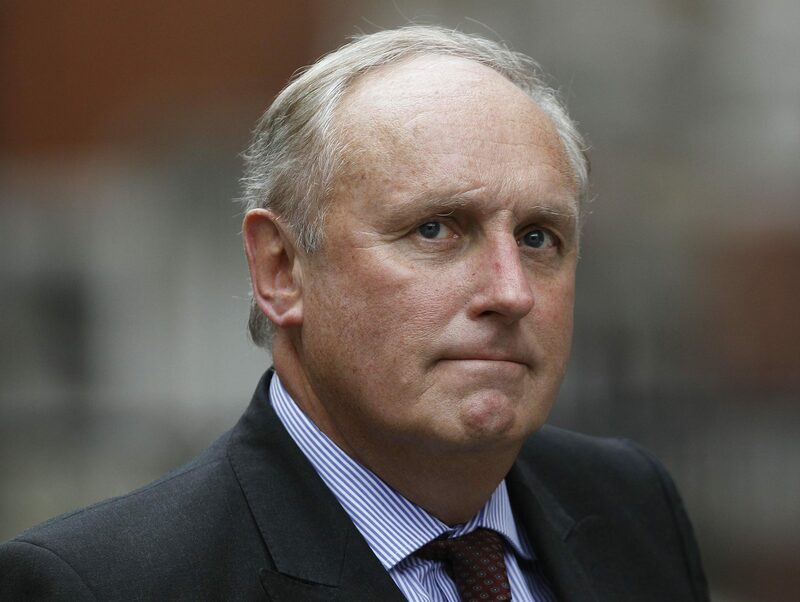 “I detest everything Paul Dacre stands for, but I don’t detest him,” he said. “I think he’s a brilliant newspaper editor in the sense that he has created a newspaper that is entirely of his vision, is entirely consistent, never goes off message, never leaves any room for doubt as to what they think, and yet is, for its audience, brilliantly entertaining and a huge content success. The New European has picked up a number of awards at recent events, including chairmans’ awards from the Society of Editors and PPA, and its fans are known to share pictures of themselves with the paper on social media. So is the paper that was launched as a “pop-up” now a permanent fixture? “It is as much as anything is permanent. It’s going well so we are not going to kill it off any time soon,” said Kelly. “That said, who knows. There was a period of time in the summer after we launched when sales dipped and I thought, right, the moment’s gone, people are bored of it and we will probably come out of the summer and find an elegant way of closing it down. “Who knows when people might switch off from it, but every week it looks less likely that will happen. “We still call it a pop-up publication because not only do we hold that question mark over it, which is very healthy, but we believe in the idea of pop-up publishing and I suppose the next big question is what’s next. StudentsAssignmentHelp.com have a team of native Aussie writers that are well-versed with all the academic discipline and offers excellent Australian Assignment Help services. We offer great academic writing help such as essay assistance, thesis help, coursework writings, case study help, etc. A very useful and informative post for reading, thanks for sharing.